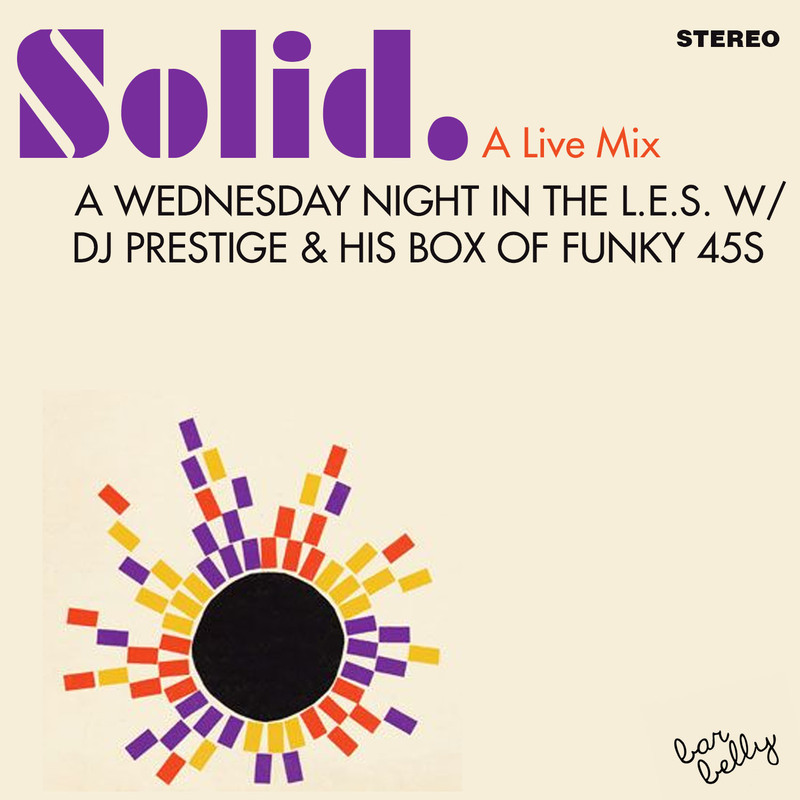 Wednesday nights are SOLID! 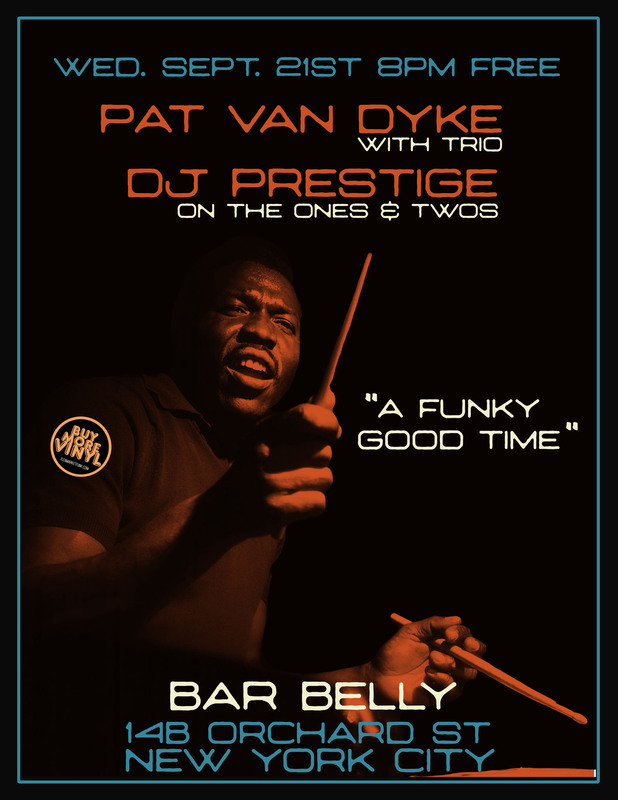 in the Lower East Side of Manhattan with Pat Van Dyke and his rotating trio of players and DJ Prestige dropping funky gems on 45 RPM in NYC. Orchard Street is poppin’ on Wednesday nights. This entry was posted in Crate Digging, Live Gigs, Records and tagged 45 RPM, Bar Belly, Crate Digging, DJ Prestige, Flea Market Funk, Funk, LES, Music, New York City, NYC, Records, Soul, Vinyl. Bookmark the permalink. 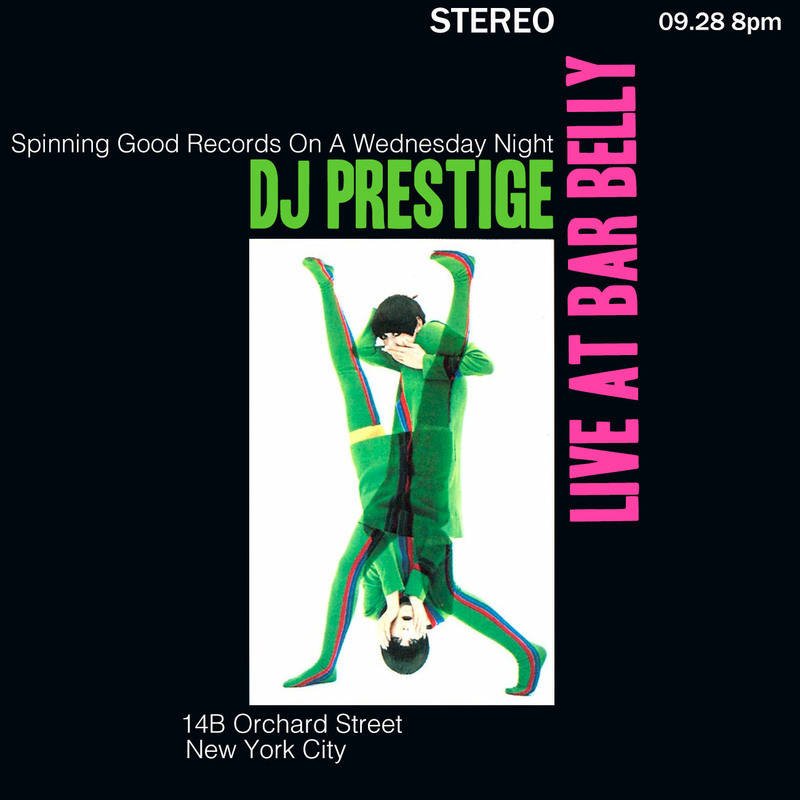 Tonight, 9/28, DJ Prestige will be flying solo live at Bar Belly in the Lower East side of Manhattan in NYC from 8pm on. 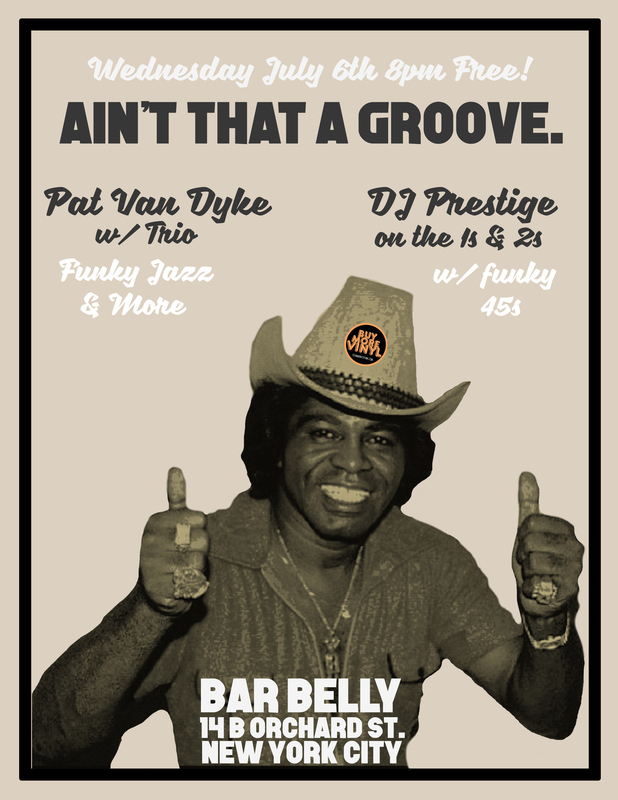 Spinning a bunch of funky good records for your listening pleasure, come on and enjoy the menu, fresh oysters, great drinks, and of course the good atmosphere along side good music. It’s #FREE, so what do you say New York City? 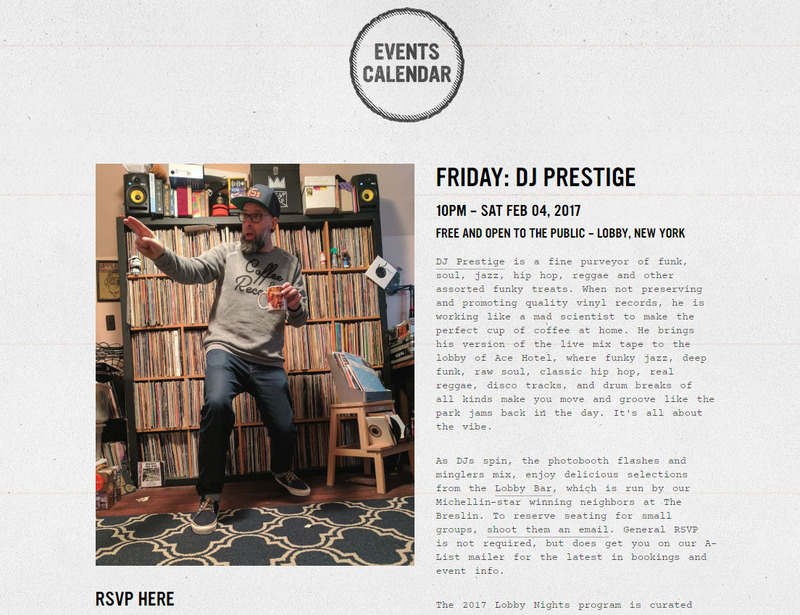 This entry was posted in Crate Digging, Live Gigs, Records, Vinyl and tagged Bar Belly, Crate Digging, DJ Prestige, Flea Market Funk, Live Gig, Lower East Side, Music, New York City, NYC, Record Digging, Vinyl Records. Bookmark the permalink. This entry was posted in Live Gigs, Vinyl and tagged A Funky Good Time, Crate Digging, DJ Prestige, Flea Market Funk, Funk, Jazz, Live, New York City, NYC, Pat Van Dyke, Record Digging, Vinyl. Bookmark the permalink. 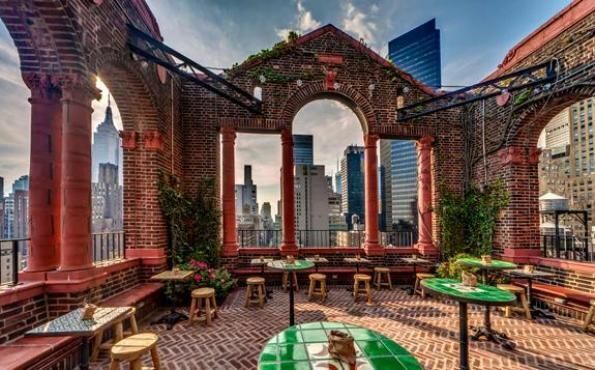 End your summer on a high note (literally), as DJ Prestige joins forces with Ford’s Gin and Salvation Taco to bring his vibe to the rooftop of The Pod Hotel in NYC and April Bloomfield’s Salvation Taco on Sunday September 4th. 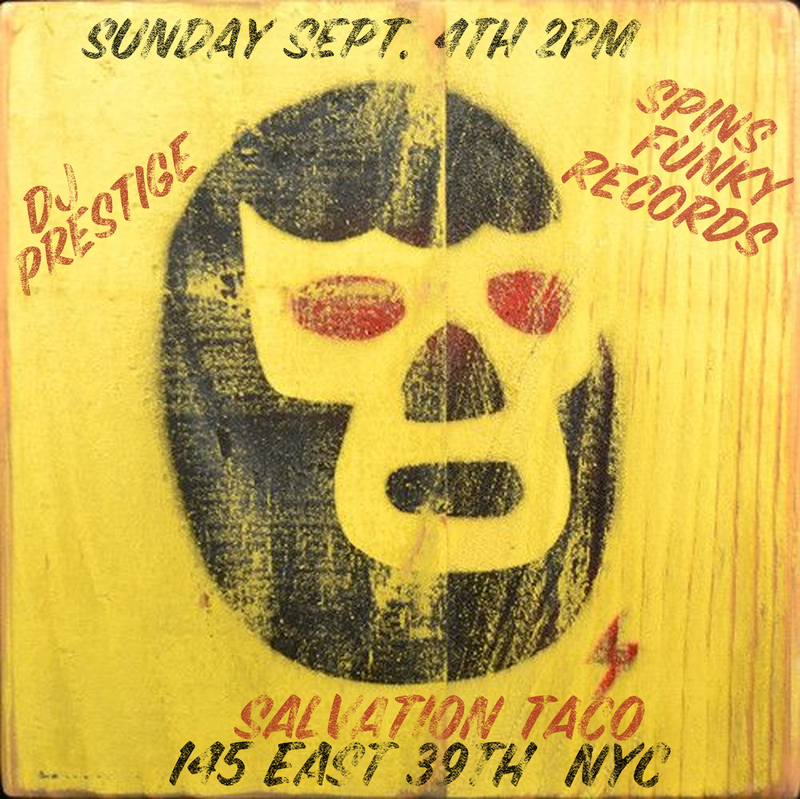 This entry was posted in Crate Digging, Live Gigs, Records and tagged April Bloomfield, DJ Prestige, Flea Market Funk, Labor Day, Music, New York City, NYC, Pod Hotel, Records, Rooftop, Salvation taco, Vinyl. Bookmark the permalink. 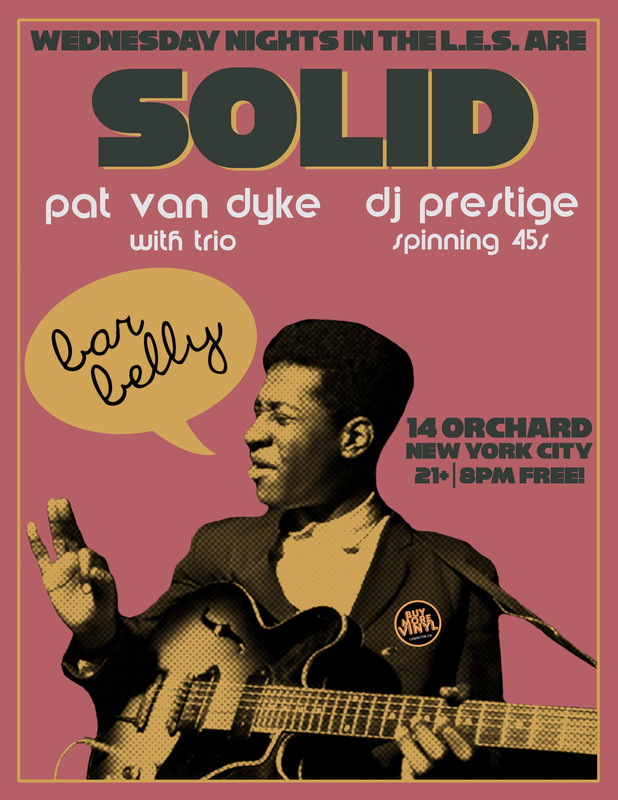 This Wednesday July 6th I will be getting down with my brother from another, Pat Van Dyke and his rotating cast of NYC musicians at the newly rebranded Bar Bell (formerly The Leadbelly) in the Lower East Side/ Chinatown section of Manhattan in NYC. 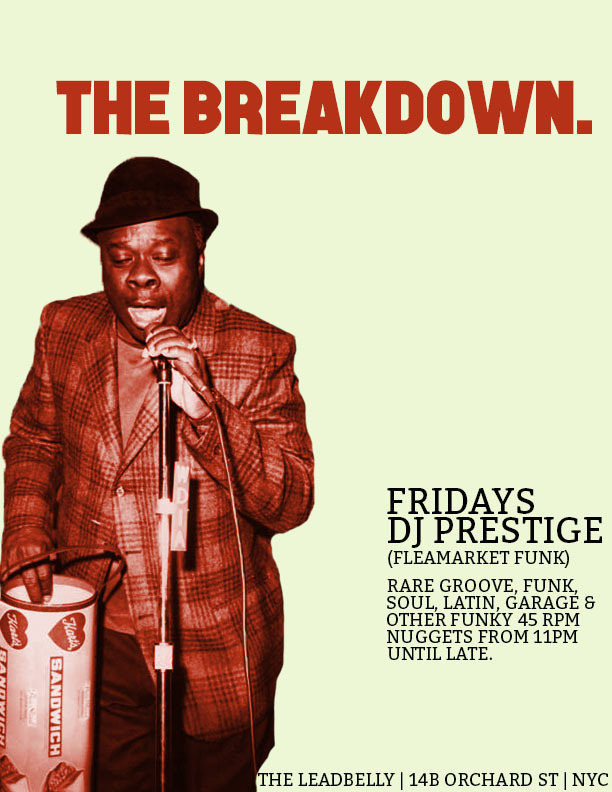 Pat is known for getting funky and I will be too with and exclusive set of funky 45s at 9:30 PM. Music starts at 8 PM. FREE. Come through. This entry was posted in Crate Digging, Live Gigs, Vinyl and tagged 45 RPM, Bar Belly, Chinatown, DJ Prestige, FleaMarket Funk, LES, New York City, NYC, Pat Van Dyke, Records, The Leadbelly, Vinyl, Vinyl Records. Bookmark the permalink. This entry was posted in Crate Digging, Live Gigs, Records, Vinyl and tagged Chinatown, Crate Digging, DJ Prestige, LES, Live Mix, New York City, NYC, Record Digging, Records, The Leadbelly, Vinyl. Bookmark the permalink. 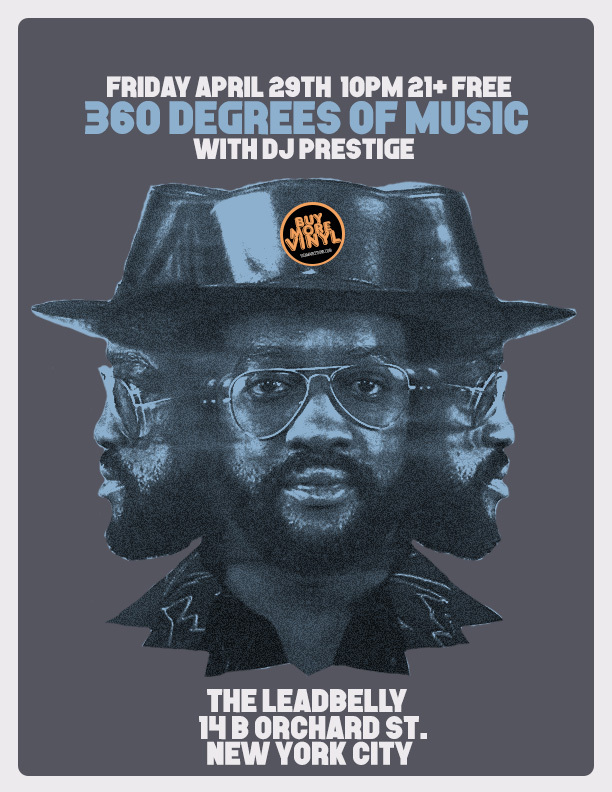 Join DJ Prestige as he spins raw funk & soul, funky jazz, reggae, and other assorted funky forty five for the after work crowd at The Leadbelly in the Lower east Side of NYC. 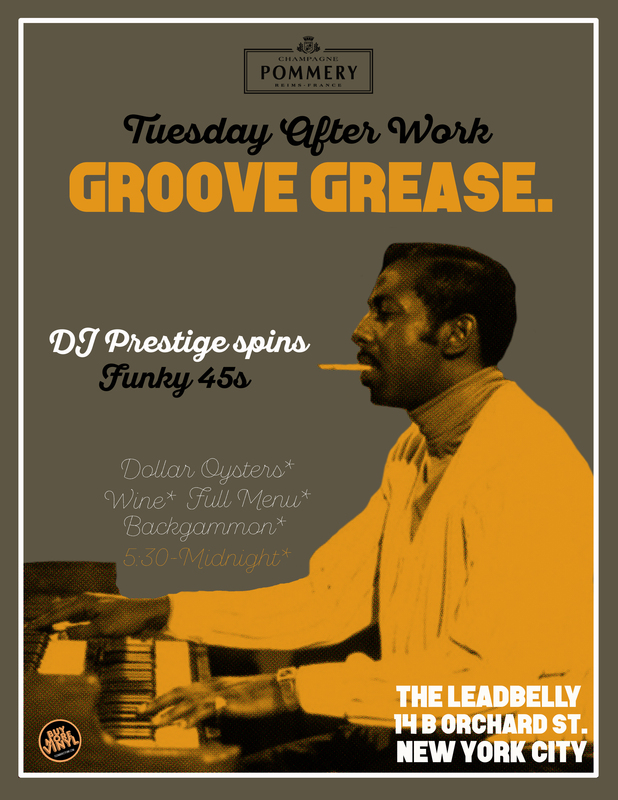 $1 Oysters all night, full menu, and backgammon going on as well. Best of all, it’s #FREE. This entry was posted in Crate Digging, Live Gigs, Records, Vinyl and tagged 45 RPM, Crate Digging, DJ Prestige, FleaMarket Funk, Live Mix, Lower East Side, Music, New York City, NYC, Record Digging, The Leadbelly, Vinyl, Vinyl Records. Bookmark the permalink. This entry was posted in Live Gigs and tagged 45RPM, Crate Digging, DJ Prestige, FleaMarket Funk, FREE, Funk, Garage, Jazz, Latin, Lower East Side, Music, New York City, Record Digging, Soul, The Breakdown, The Leadbelly, Vinyl Records. Bookmark the permalink.